The purpose of the United Methodist Women is to be a community of women who know God and experience freedom as whole persons through Jesus Christ; to develop a creative, supportive fellowship; and to expand concepts of mission through participation in the global ministries of the church. The UMW meets the first Monday of the month at 7:00 PM. We provide luncheons and various other service projects and fundraisers for missions during the year. Come join us when you can. There are several opportunities at Sterling UMC for ladies to get together for fellowship and to be creative with the intention of being a blessing to others. Prayer Quilts and new baby comforters are created and missions projects are completed. Women of all ages and quilters of all levels of experience are welcome to come at any time. Busy Hands is a “Circle” of the Sterling United Methodist Women. We meet most Thursdays at 12:30 PM at the church for lunch (and occasionally out-to-lunch). We keep our hands busy with personal projects as well as a variety of projects for ministries of the church. Women of all ages are invited to our lively group for fellowship and service. 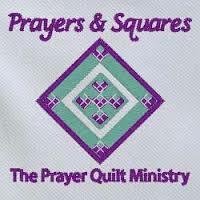 Prayers & Squares is an interfaith outreach ministry that combines the gift of prayer with the gift of a hand-tied quilt. This group meets in the Jacobus Building on the third Thursday of the month from 12:30 to 3:00 PM and third Saturdays from 9:00 AM to 12:00 PM. Visitors and new sewers/quilters are encouraged to join us at any time! Contacts: Nancy Craner and Marlene Cavaiola. 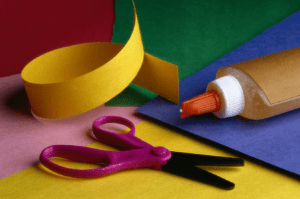 The Master’s Crafters arts and crafts group meets every Wednesday, afternoons from 2:00-4:00 PM and evenings during CrossWalk from 7:00-9:00 PM January to June, September to November, for fellowship and to work on crafts for their November craft sale. The crafters hold this large craft sale every fall to raise money for unbudgeted items the church needs. In recent years the crafters have purchased many items for the church, including tables and chairs, cabinets, and even a new freezer. Join this vital ministry, learn some new skills and enjoy an evening of laughter and fun! Contacts: Jan Hobbs and Beth Meserve. The Sterling United Methodist Women support many organizations and efforts on an ongoing basis throughout the year. The list below provides the organization and the items that can be brought to the church donation center for processing.